The Weekend Festival Ticket is valid from admission on Friday, 7 June 2019 until Sunday. Attention: This ticket only entitles the holder to enter the festival area. An additional ticket is required for parking and camping! The Day Festival Ticket Friday is valid on Friday, 7th June 2019 from admission until end of show. Attention: this ticket only entitles the holder to enter the festival area on Friday, 7th June 2019. An additional ticket is required for parking! The Day Festival Ticket Saturday is valid on Saturday, 8th June 2019 from admission until end of show. Attention: this ticket only entitles the holder to enter the festival area on Saturday, 8th June 2019. An additional ticket is required for parking! The Day Festival Ticket Sunday is valid on Sunday, 9th June 2019 from admission until end of show. 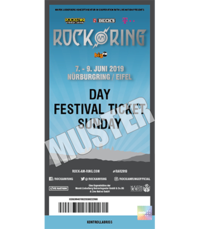 Attention: this ticket only entitles the holder to enter the festival area on Sunday, 9th June 2019. An additional ticket is required for parking! 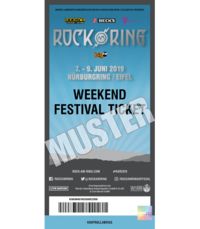 The VIP Weekend Festival Ticket includes the following: Access to the Nürburgring°Lounge in the pitlane building in front of the Volcano Stage area. Exclusive VIP entrance. The best view of the Volcano Stage from the foyer of the VIP lounges. Access to zone A in front of the first barriers area of the Volcano Stage (if capacity is available in zone A). Catering in the Nürburgring°Lounge incl. drinks and service. Flatscreen wall in the lunge including festival TV showing all stages. The VIP Weekend Festival Ticket is valid from admission on Friday, 7 June 2019 until the end of the festival programme on Sunday, 10 June 2019. Car park reservations possible (a parking ticket is included when purchasing two VIP Weekend Festival Tickets). 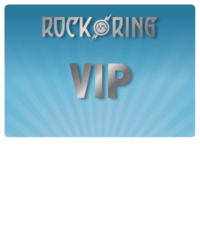 A parking ticket is included when purchasing two VIP WEEKEND FESTIVAL TICKETS! A special kind of festival experience. Three nights with breakfast from 7 June to 10 June 2019. Hotel Package holders get the chance to stay overnight in immediate proximity to the festival site at the 4-star Lindner Congress & Motorsporthotel Nürburgring. 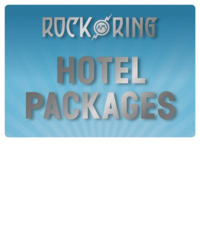 The hotel is located within close walking distance of the Rock am Ring festival site. 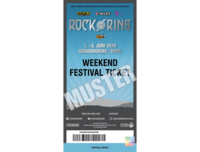 An additional Rock am Ring Weekend Festival ticket is required for attendees to access the festival site. 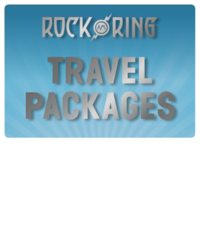 Attention: all attendees require a Rock am Ring Weekend Festival ticket, which must be purchased separately. Does anyone really still come to the festival and drag their warm beer from their car to their tent? It doesn’t have to be that way... 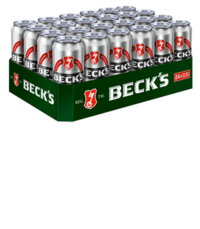 Secure your chilled Beck’s right now by ordering your supply online, together with your tickets, via Beck’s pre-order at a special price of €24 per tray (24 cans) plus deposit. Simply collect your cold beers at the pre-order issue point and enjoy them cold. 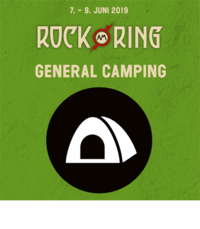 The General Camping Ticket entitles the holder for camping and parking in the category General Camping. The General Camping and Parking areas are open from 12pm on Wednesday, 5 June 2019 until 12pm on Monday, 10 June 2019. Attention: This ticket only entitles the holder to enter the General Camping and Parking area. An additional ticket for the festival is required to enter the festival area. 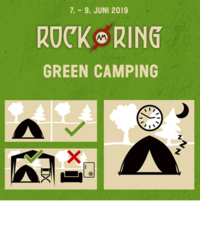 The Green Camping Ticket entitles the holder for camping and parking in the category Green Camping. The Green Camping and Parking areas are open from 12pm on Wednesday, 5 June 2019 until 12pm on Monday, 10 June 2019. Special rules apply in the Green Camping area regarding environmental protection and night-time quiet which must be observed by ticket holders. Attention: This ticket only entitles the holder to enter the Green Camping and Parking area and the General Camping and Parking area. An additional ticket for the festival is required to enter the festival area. The Rock´n´Roll Camping Ticket entitles the holder for camping and parking in the category Rock´n´Roll Camping. The Rock´n´Roll Camping and Parking areas are open from 12pm on Wednesday, 5 June 2019 until 12pm on Monday, 10 June 2019. It includes the option to connect to power supplied by the organizer in a radius of about 50m. Attention: This ticket only entitles the holder to enter the Rock´n´Roll Camping and Parking area and the General Camping and Parking area. An additional ticket for the festival is required to enter the festival area. 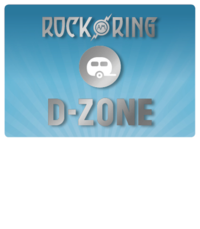 The Caravan Camping Ticket entitles the holder for camping and parking in the category Caravan Camping Zone B, C or D.
The Caravan Camping and Parking areas are open from 12pm on Wednesday, 5 June 2019 until 12pm on Monday, 10 June 2019. Attention: in addition, one caravan parking badge is needed per vehicle! This ticket only entitles the holder to enter the Caravan Camping area and the General Camping and Parking area. An additional ticket for the festival is required to enter the festival area. The Experience Camping Ticket entitles the holder for camping and parking in the category Experience Camping. The Experience Camping and Parking areas are open from 6pm on Wednesday, 5 June 2019 until 12pm on Monday, 10 June 2019. The camping area is an exclusive camp, located just a short walk from the Volcano Stage, with comfortable and pre-assembled accommodations, high quality sanitary facilities and paved paths. Attention: This ticket only entitles the accommodation in the camping area. An additional festival ticket is required for the festival. 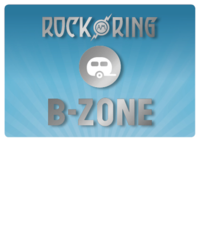 Parking badge for a motor home, caravan or trailer tent with towing vehicle or a mini-bus in Caravan Zone B. The maximum number of people allowed to sleep in the vehicle is the same as the number of berths by design. In addition, one (1) additional tent, awning or gazebo (maximum size of the gazebo: 3m x 3m) may be put up directly next to the vehicle. Standard cars are not allowed in the caravan areas. Standard-PKW sind in den Caravan Bereichen nicht zulässig. Purchasing a badge entitles the holder to connect to power supplied by the organizer in a radius of about 50m. Parking is allowed from 12pm on Wednesday, 5 June 2019 until 12pm on Monday, 10 June 2019. Attendees must also hold a Caravan Camping ticket to gain access to the Caravan Camping area. Attention: Every attendee needs a Caravan Camping ticket to enter the Caravan Camping areas. An additional festival ticket is required for the festival. 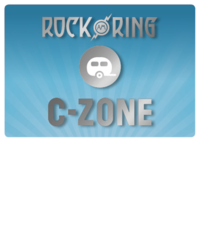 Parking badge for a motor home, caravan or trailer tent with towing vehicle or a mini-bus in Caravan Zone C.
Parking badge for a motor home, caravan or trailer tent with towing vehicle or a mini-bus in Caravan Zone D.
The maximum number of people allowed to sleep in the vehicle is the same as the number of berths by design. In addition, one (1) additional tent, awning or gazebo (maximum size of the gazebo: 3m x 3m) may be put up directly next to the vehicle. Standard cars are not allowed in the caravan areas. 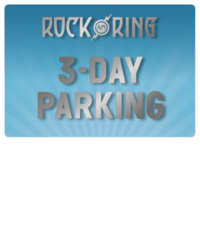 3-day parking & shuttle ticket for one car parking space in the separate day car parks. Parking entitlement is valid on Friday, 7 June 2019, Saturday, 8 June 2019 and Sunday, 9 June 2019 from midday until 5am on the following day. The shuttle buses operate a permanent shuttle service from midday until 4am each day between the day car parks and the bus station at the main entrance. They can be used free of charge with the parking & shuttle ticket. Attention: this ticket only entitles the holder to park in the separate day car parks for the above period. It is not permitted to leave vehicles overnight, to stay in vehicles overnight or to camp in the car park. 1-day parking & shuttle ticket for one car parking space in the separate day car parks. 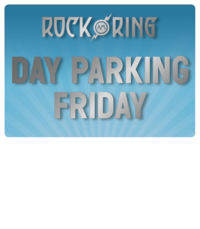 Parking entitlement is valid from midday on Friday, 7th June 2019, until 5 a.m. on the following day. The shuttle buses operate a permanent shuttle service from midday until 4 a.m. between the day car parks and the bus station at the main entrance. They can be used free of charge with the PARKING & SHUTTLE TICKET. 1-day parking & shuttle ticket for one car parking space in the separate day car parks. 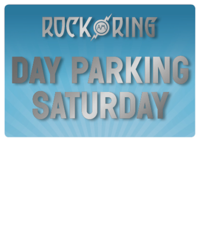 Parking entitlement is valid from midday on Saturday, 8th June 2019, until 5 a.m. on the following day. 1-day parking & shuttle ticket for one car parking space in the separate day car parks. Parking entitlement is valid from midday on Sunday, 9th June 2019, until 5 a.m. on the following day.